Even the jobs that seem basic on the surface have a few ‘tricks of the trade’ that most people never understand. Clearing blocked drains is a great example of this, particularly when it comes to not understanding what’s happening below the surface. How many times have you, or a friend, spent hours trying to deal with a blocked toilet, sink or drain yourself? It’s a thankless and dirty and smelly job and most often, even after several trips to the local hardware store, the end result is to give up and call in the experts. The fact is, by the time your toilets, sinks or drain are blocked and backing up into your home, the problem that has been building up for some time has finally reached its tipping point. While it’s possible for blocked drains to occur suddenly, often due to large foreign objects (we could certainly tell you some stories!) it’s far more likely that the drain blockage has been building up for some time. Either roots are gradually blocking the drain, or grease and sludge build up slowly over time. There are other advantages our specialisation in blocked drains allows us to offer homeowners too. 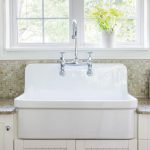 Not only can we clear the drain quickly, and return things to normal, we can offer advice and solutions for managing the problem in future, or preventing it from happening again altogether. Specialising in blocked drains might not be glamorous, but we’re very good at it and when we clear drains quickly, we always see big smiles of relief on the faces of our clients.